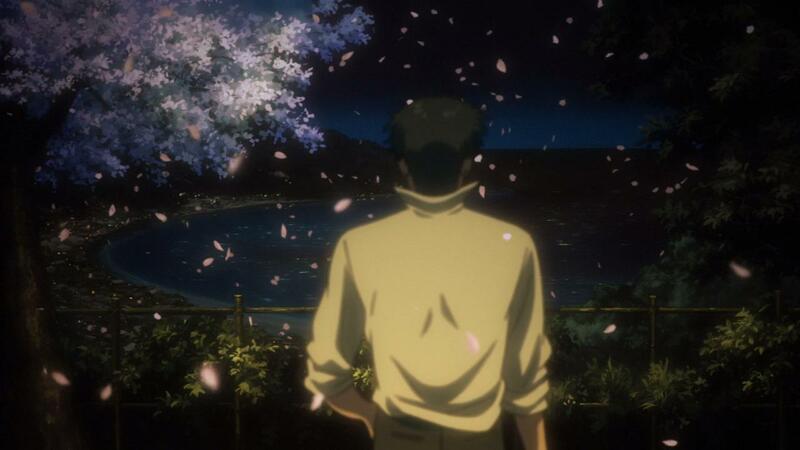 Making distinctions between the industry’s creative venues may seem somewhat pointless, as anime’s format seemingly only affects the delivery of a story rather than its content. Leaving aside further arguments about inherent structure quirks though, even that seems a bit naive when you consider the increasing production struggles that plague TV anime nowadays. The industry as it is simply won’t allow each and every project to reach their full potential. For every success like Space Dandy – well, creative success anyway – we see titles like Rolling Girls that crash and burn after a promising start. 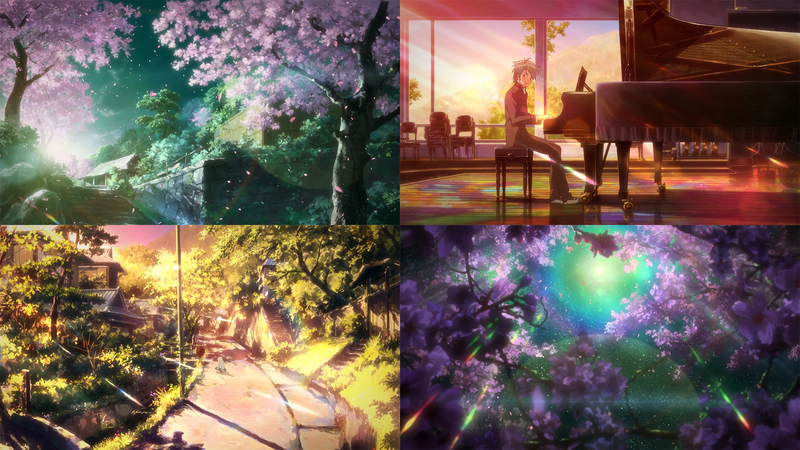 That being the case though, there is one very specific subset of shows which can bypass the struggles and limitations of TV anime production, so let’s get into how and why shorts have paved their way towards becoming one of the industry’s most interesting creative venues. Short anime – shorts from now on – is a fairly self-descriptive concept; they’re TV anime that run for a fraction of the time that regular shows do. Exact running times can vary, from 12 minutes right down to less than a minute, but they more often than not tend to fall into the sweet spot of 2-4 minutes. You can find a number of them scattered around the late 90s and throughout the 00s, though they largely existed as educational shows or spin-offs of full-length TV anime at the time. Exceptions did exist however, perhaps the most prominent of them being 2008’s Astro Fighter Sunred and its sequel, which took advantage of the format to deliver its gags in a snappier way than it would have done were it full-length. While shorts did continue to pop up more and more after that, it wasn’t until around 4 years ago that we saw a notorious increase of those titles. This can partly be attributed to the increasing prominence of new distribution methods for anime, particularly online ones which are naturally more suitable for these shorter experiences. Few series remain exclusive to these platforms – though some do for quite a while, like Ninja Slayer last year – but even then they often premiere there and their livestreaming events are treated as important events. The internet has understandably changed the landscape. It was during this same influx that we saw Sunred‘s approach taken approximately 3,439,028 steps further with the conception of Shin Itagaki’s Teekyuu! and Itsuki Imazaki’s Ai Mai Mi adaptations, which – as opposed to Sunred’s 12 minute run time – were 2-3 minutes per episode of unadulterated madness; those went on to demonstrate that staff scaling exponentially in full-length TV anime is a major contributing factor as to why shorts can sidestep all the production madness in the first place. Both are a fraction of the length of your average show, but their staff lineup is relatively even smaller – in fact, they were handled almost entirely by their respective directors alone. That’s no exaggeration either, because not only did they take on episode direction and storyboarding, they were also responsible for the character designs and scripts, and even went so far as to do solo key animation for almost every single episode on their own as well. Not everyone can explore the depths of human insanity with one man army adventures like these two men did however, so we can’t quite claim that they’re responsible for beginning a new chapter in the story of shorts despite their creative endeavors. Instead, that honour goes to three very special shows which aired in early 2013: Yama no Susume, Aiura! and Namiuchigiwa no Muromi-san. All three popped up during the same influx that Teekyuu! and Ai Mai Mi did, but while Itagaki and Imazaki may have proven their skills solo, the craft behind these three are what set them apart in the end. 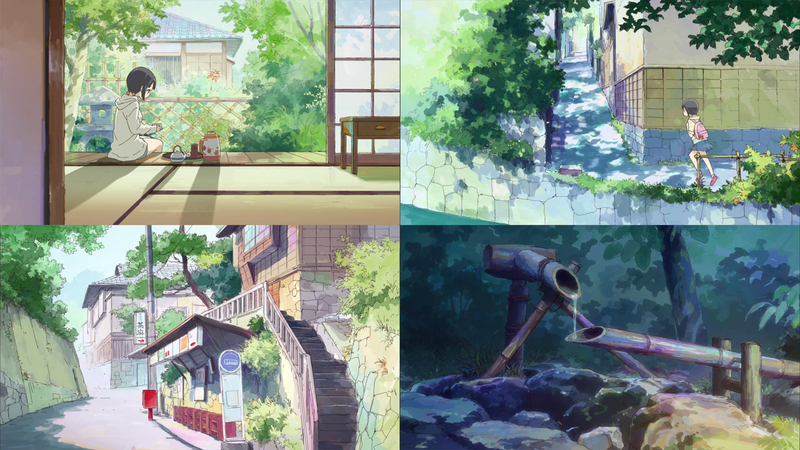 They proved that shorts could be just as – or even more – visually eloquent as the best of what we’d seen in full-length anime up until now, so let’s take a look at how they did so. Savvy fans instantly recognised the potential in Aiura! through the knowledge that it was being handled by the duo of Ryousuke Nakamura and Mieko Hosoi. The ex-Madhouse director and his partner in crime are still considered one of the most striking teams in the industry today. While they first joined forces to handle direction (Nakamura) and character designs (Hosoi) for the Run! Melos portion of Blue Literature’s adaptation, it’s no stretch to say that their legacy as a duo began with Kaiji episode 13, which Nakamura directed and storyboarded while Hosoi took on the task of animation director. Their combined efforts in portraying a psychological build-up during Kaiji’s attempt to cast his sanity and fears to the winds, followed by the almost immediate breakdown when they creep back up on him – not to mention that scene with Ota – served as a fantastic display that these two, who had already gained some individual prominence a number of years before Kaiji aired, could create gold together – even for a show that was far from an impressive production! Cut back to 2013, and anticipation for Aiura! was being fuelled by the fact that they were just coming off the back of Nerawareta Gakuen which, as aggressive on the eyes as it may be, worked as a sensational exhibit as to the kind of rich, colourful worlds these two can create when they have full creative control. Needless to say that expectations were delivered on, as the watercolour environments built on the aforementioned richness present in Nerawareta Gakuen while remaining far more forgiving on the eyes, and we were also treated to a plethora of both restrained and lively character animation. It’s not an outright sakuga fest by any means, yet the incredibly strong craft its foundations are built upon are what solidified its position amongst the most visually memorable shows of the year. It’s also proof that the short format can indeed be more sustainable than full-length TV series, as Nakamura and Hosoi went from those smooth sailings to endless production hell with Grimgar of Fantasy and Ash last year. While strong and tenured craft is what carried Aiura! to success, Muromi-san director Tatsuya Yoshihara – who was a mere 23 years old at the time – opted for a different approach; talented and experienced as he may have been despite his age, relying on the same foundations Nakamura and Hosoi had wasn’t exactly an option. What he could rely on, though, was his webgen background and buddies, the details of which I won’t dive into here as we’ve already discussed them plenty on this blog. Unlike the purposefully quiet and constrained Aiura!, Yoshihara ensured that Muromi-san remained a frenetic display of animation from start to finish with the aid of some of the top webgen talent available such as Shingo Fujii. 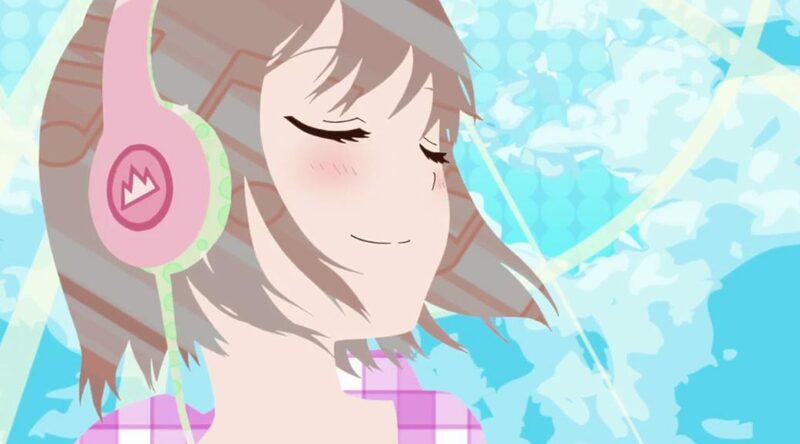 Even Rapparu – who belongs to a newer generation of webgen animators and is usually working on idol MVs and the like – showed up in the first episode, almost as if to make a statement about which direction the show was heading in. That wasn’t its only source of animation strength though; people like Toshiyuki Sato, whose understanding of webgen fundamentals made his work more than compatible with their digital sensibilities, also made a difference within the show. This blatantly digital approach to a TV series was still relatively uncommon at the time as well, especially as Ryo-chimo’s take on Yozakura Quartet wouldn’t be making its way from DVD to TV until later that same year, so adopting the shorts format was likely the most apt decision in order to let them go full-steam ahead. Not to imply that a project like this couldn’t survive as a full-length series of course, what with the existence of Birdy the Mighty Decode, but this is a venue that felt just right for someone as young as Yoshihara in his TV directorial debut, as it allowed him to experiment without any immediate risk. The fact that he’s went on to direct Yatterman Night and Monster Musume, both of which have played with other webgen idiosyncrasies to differing extents, can be seen as proof that the payoff in doing so was rather large, too. Let’s not forget that he has Long Riders! coming up next season as well, a season which just happens to be ever so relevant to this post. You may have noticed that I skipped Yama no Susume despite mentioning it along with Aiura! and Muromi-san, but there’s a reason for that. That show plays a much bigger role in the story of shorts, and is something which we’ll get to in due time. For now though, let’s close the book on this chapter, which may as well serve as a prologue for what’s to come. 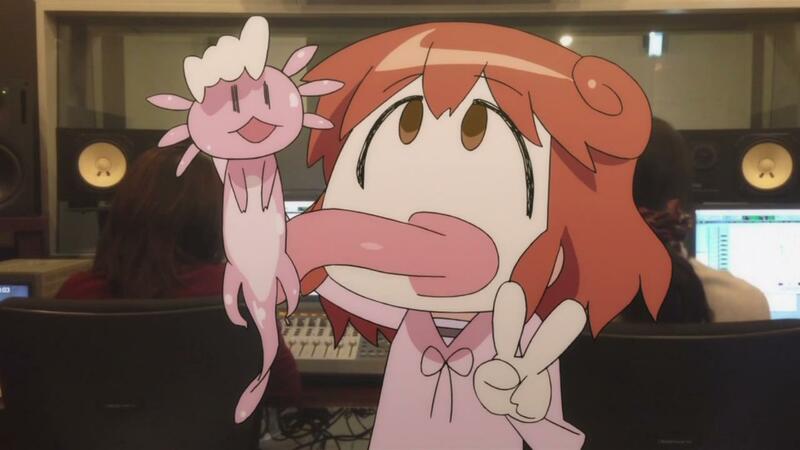 Support us on Patreon so that we can keep producing content like this, and move the entirety of Sakugabooru to an independent server. I just found your blog on Sakuga. I love this article. It was very informative. I look forward to reading more in the future. Glad to hear it! I tried to keep it as informative as possible without just resorting to namedropping people, so it’s nice to know it worked out. Space dandy only had 2 good episodes in the 2 seasons that it had.